Consulting services are beneficial to businesses because as technology develops and business grows, consultants continually learn new technology. 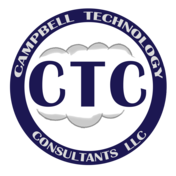 CTC continually looks at new technology and products so we can provide our customers with support and make the best recommendation for your future. Our consulting services are used primarily by businesses and government agencies. We can assist existing IT staff with projects or recommend new technologies. For our clients without an IT staff, we can provide support for all your IT needs, including infrastructure, end users, and training. The project based consulting services help our customers deploy new projects and update existing technology and infrastructure. We will do an analysis on the existing environment to find a solution that fits your company’s requirements and budget, along with creating a plan to deploy the project. Some customers may need general help with their Information Technology needs. This can be as minor as a single computer, or as major as an interruption in communication or a server outage. With our General Support Services, we can help resolve your problems in an efficient manner, with primary focuses being to preserve your data and keeping services available. Our General Support Services can be a one-time support call, or we can create a support agreement based on your specific needs.